“First Take” will join “Get Up” in New York City later this year, moving to ESPN’s Pier 17 South Street Seaport production center. The change will relocate hosts Stephen A. Smith, Max Kellerman and Molly Qerim to the Big Apple on September 3rd while the production crew will remain in Bristol, CT.
“This move to a state-of-the-art studio in New York underscores our commitment to achieve our primary mission – serving the sports fan through excellence on all fronts,” notes David Roberts, vice president, Network Content. The Pier 17 facility opened in early April and is home to ESPN’s NBA coverage and “Get Up,” with competitor FS1 also broadcasting its morning program from Manhattan. 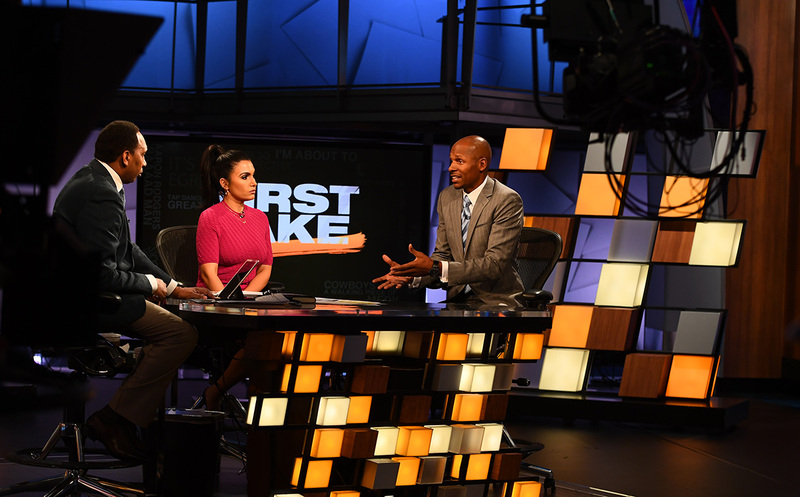 The move will see an updated look for “First Take,” utilizing a secondary studio at the South Street Seaport. ESPN’s space in the development includes two studios occupying 6,100 sq. ft. in the facility. These studios are linked via fiber to Bristol for production control and operations.